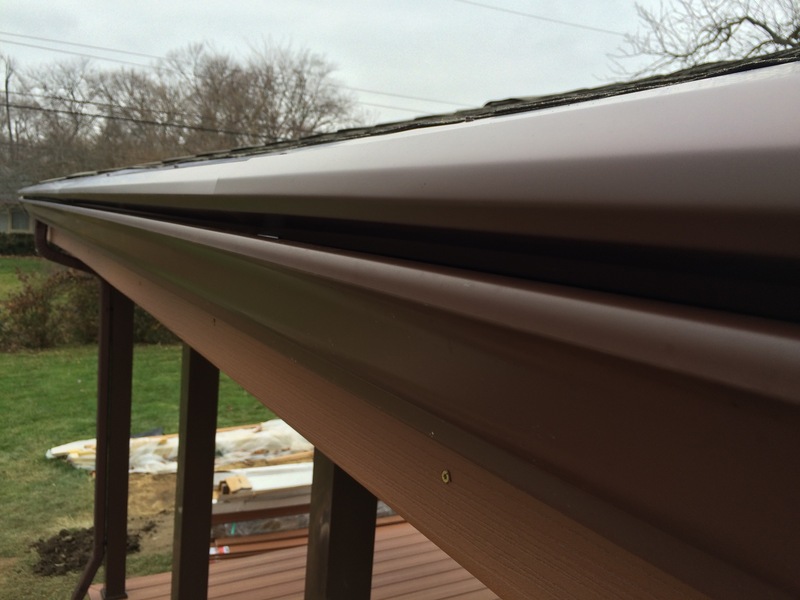 GutterLock is a solid aluminum gutter protection system that utilizes surface tension to draw water from your roof into your gutters. Each interlocking panel suspends from the gutter by a series of internal gutter brackets that secure the gutter guards in place. GutterLock Gutter Guard includes a “nose forward” design that helps push leaves and debris away from your gutters onto the ground below, while allowing water to move through a small slot between the gutter lip and gutter guard.